Skillet Cooking ~ Learn, Live, and Explore! I'm not kidding. 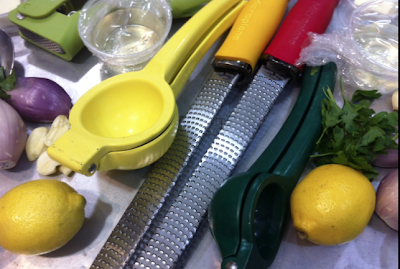 If you live near a Sur La Table store that offers cooking classes, you need to listen to this tip. Search the online calendar for the classes that are sponsored by cookware or bakeware manufacturers and see what kind of free goodies you can get that offset the cost of the class and more! I recently took a saucepan class sponsored by Scanpan and walked away with a skillet worth $150.00! Scanpan is an environmentally-friendly product manufactured using completely recycled materials. 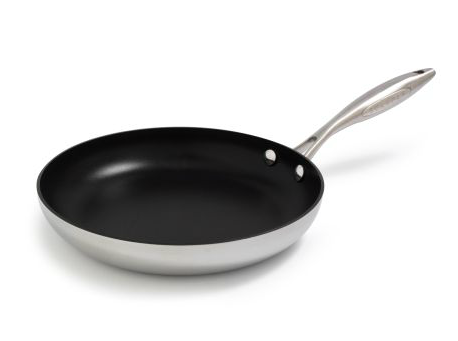 The pan we used in the class has a nonstick surface made from ceramic titanium that is resistant to scratches, even from metal utensils, and the rest of the pan is created using five layers of aluminum for even heat distribution. These features reduce the need for fat to cook your food, allowing for healthier cooking, and still allows for traditional browning to occur, unlike other nonstick pans. Finally, the pan had a great, ergonomic stainless steel handle that is so sophisticated. 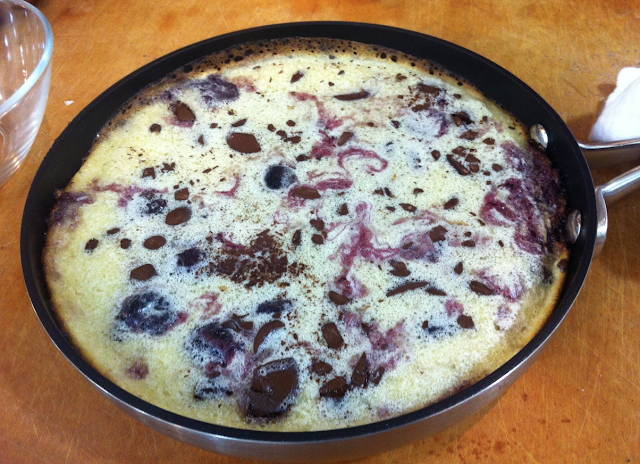 For the class itself, the menu included recipes that showed off the many uses of the Scanpan skillet: herbed goat cheese frittata, seared lemon pepper scallops, gruyere and potato gratin with thyme, and dark chocolate and cherry clafoutis. The frittata was not good (too much dill and I'm not a fan of goat cheese), and the clafoutis was average (could have done without the chocolate), so I'm going to highlight the scallops (my first time ever eating them!) and gratin in this post. Leave a comment if you want me to update with the other two recipes, as well. 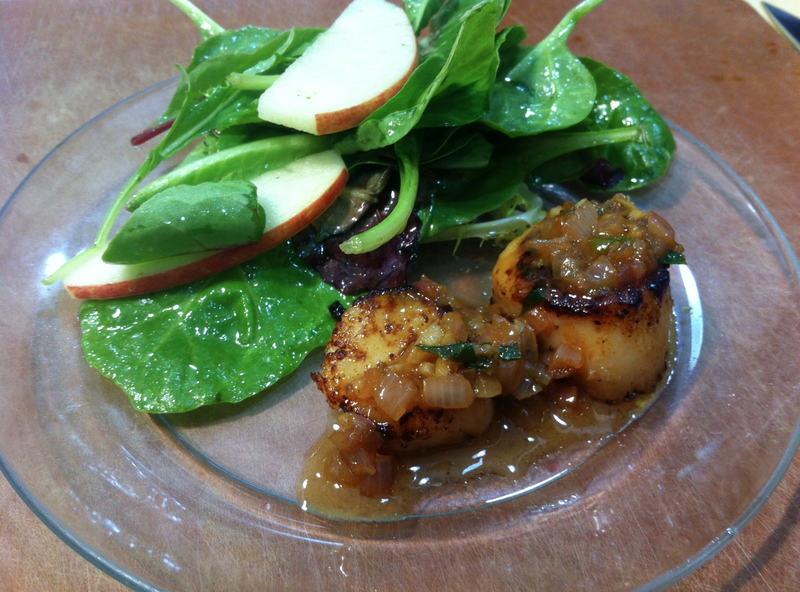 On a plate, sprinkle the scallops with freshly ground black pepper. Set aside. Heat 1 tablespoon olive oil in a large Scanpan nonstick skillet over medium heat. When the oil starts to shimmer, add the scallops and cook until the scallops are opaque in the center, about 2-3 minutes per side. Be careful not to over-brown. Remove scallops from the skillet to prevent them from overcooking and place on a plate. Return the skillet to the heat and lower temperature to medium. Add 1 tablespoon of olive oil and the butter. When the butter has melted, add the shallot and garlic and cook until soft, about 3 minutes. Add the lemon zest and lemon juice, and reduce slightly to incorporate all of the juices from the pan. Add parsley, taste, and adjust seasoning with salt and pepper. To serve, place scallops on a plate and spoon over lemon sauce. Place 2 tablespoons butter in a large Scanpan nonstick saucepan and heat over medium heat. Add leeks and saute until softened but not browned, about 4-5 minutes. Add cream and milk to the saucepan and heat until mixture simmers. Add salt and white pepper, stirring well to combine. Peel potatoes and use a mandolin to slice the potatoes, evenly, at 1/8" thick. Add to the hot cream mixture. Press potato slices, gently, with a silicone spatula to submerge. 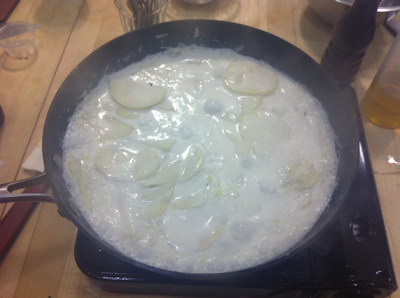 Cook undisturbed until potatoes are partially cooked and mixture begins to thicken, about 10-12 minutes. Stir in 3 tablespoons thyme leaves. Preheat oven to 375 degrees and place rack in the center. Combine cheeses in a small mixing bowl. Using a slotted spoon or spider, carefully transfer the potato slices to the prepared baking dish. Carefully pour enough cream mixture to barely cover potatoes. Dot with remaining 2 tablespoons of butter and cover with cheese mixture. Bake in preheated oven until casserole bubbles around the edges, potatoes are tender, and top is golden brown, about 50-60 minutes. 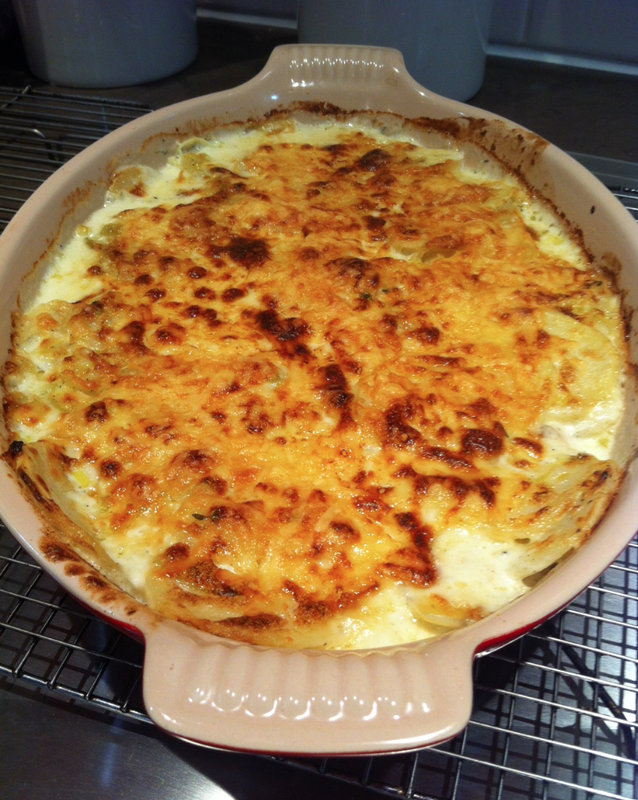 If top begins to brown too deeply before potatoes are cooked, cover gratin with aluminum foil. If top has not browned when potatoes are cooked, place gratin under a preheated broiler. 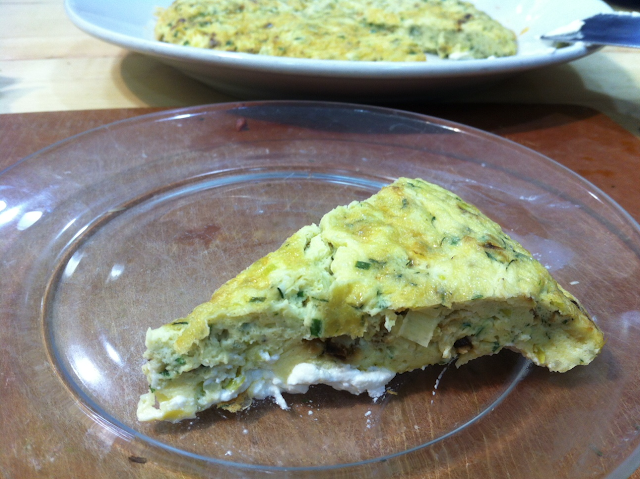 Allow gratin to sit for at least 20 minutes before serving.